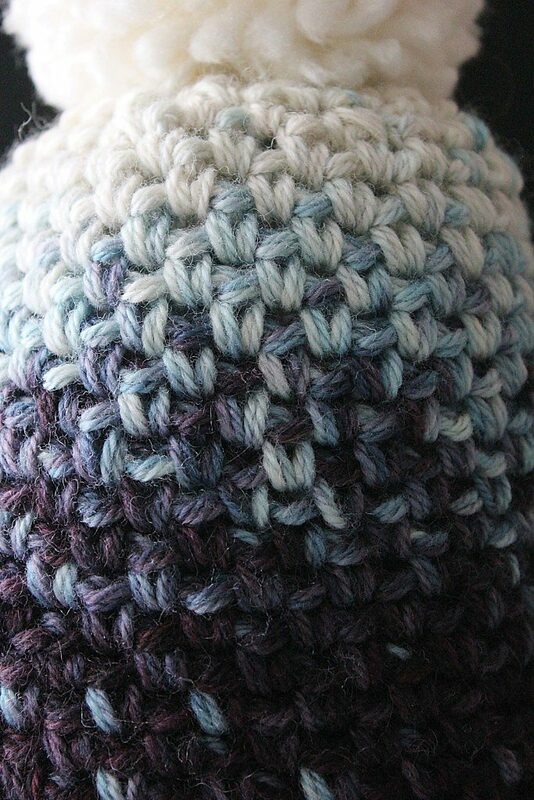 Amazing hat in shades of ombre. This technique is hand dyed. How to do this you will learn in the tutorial. It’s a free pattern. The hat is available in many sizes. Select your model and do this for the whole family. The hat is warm and comfortable to wear. Add a pompon for a better effect. You can give up on it. Everything depends on you. You can combine with this pattern in every possible way. It depends on you what the end result will look like. For work use Patons North America Classic Wool Worsted. 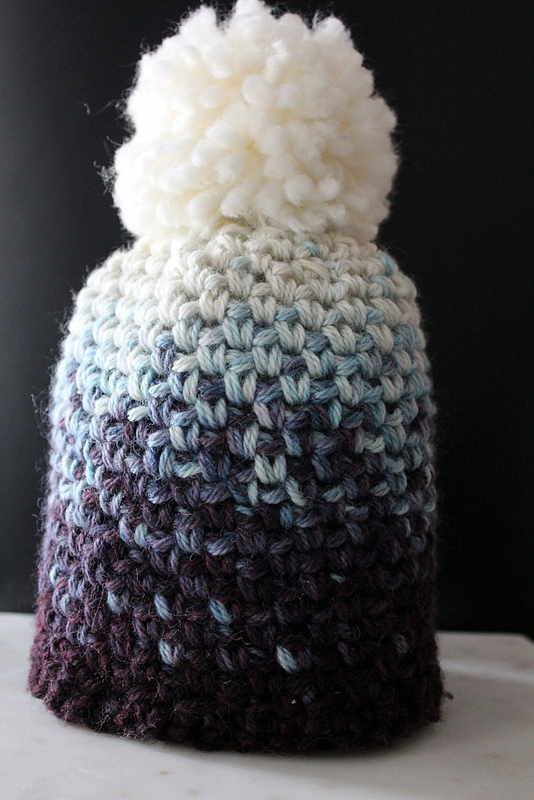 Ombre Pompom Beanie Free Crochet Pattern is here.